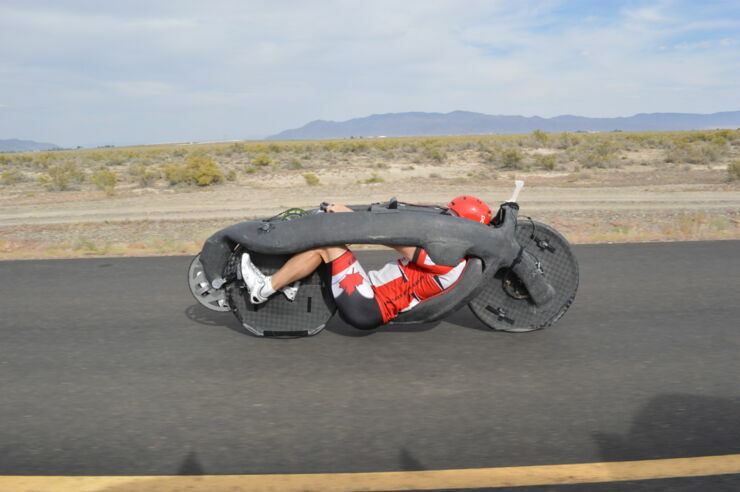 When you're rattling down that steep hill on your bike, flying along thinking you're traveling close to the sound barrier or something, well that's nothing compared to the Aerovelo Eta speed bike. 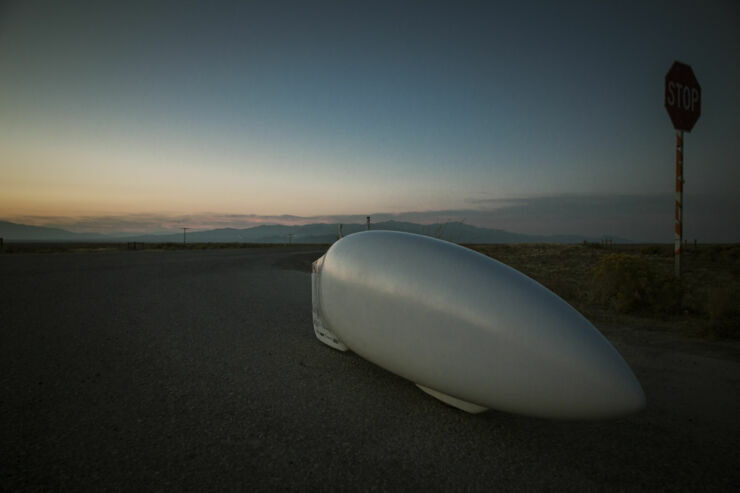 Because this strange-looking bullet of a bicycle recently set a new speed record for a human-powered vehicle at the World Human Powered Speed Challenge in Battle Mountain, Nevada. 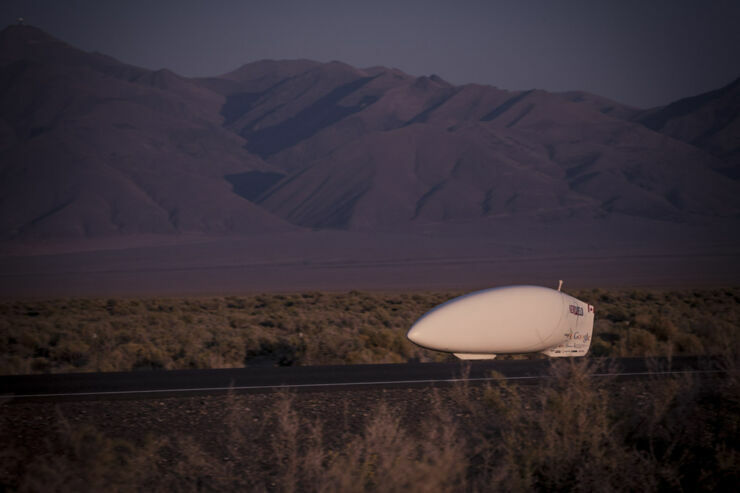 It hit an incredible 89.59mph (139.45kph), breaking the previous world record, which it set in 2015, of 86.65mph. 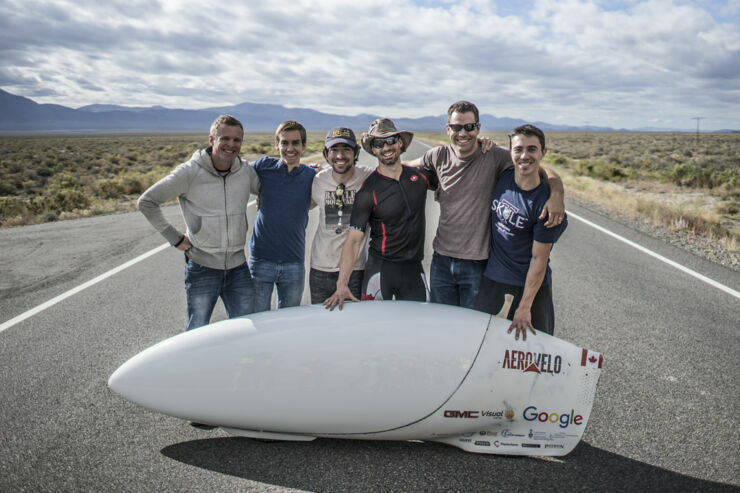 The Aerovelo Eta's aerodynamic design features a carbon fibre shell, ultra thin tires, low center of gravity, and lightweight frame. And it requires around 198 watts of pedal power at 90 km/h. 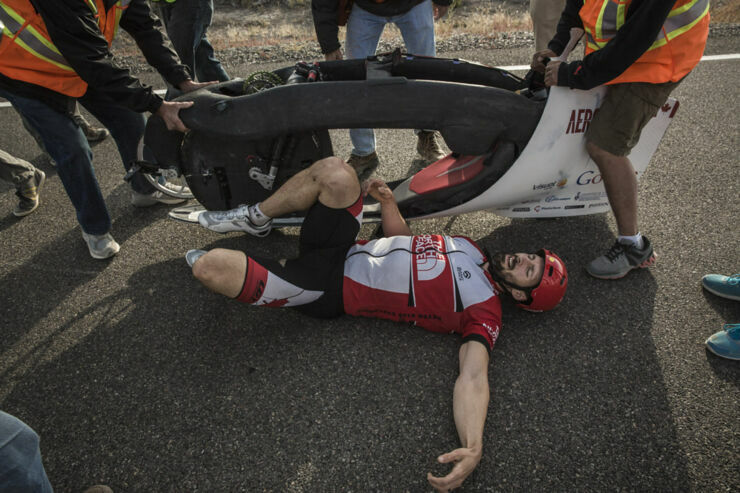 The world record took place on highway 305, which is the straightest, flattest, and smoothest road surface in the world, by rider Todd Reichert who commented that "factors like minimising friction and wind resistance are crucial." All the while peddling in a specialised recumbent layout (where the rider sits back). 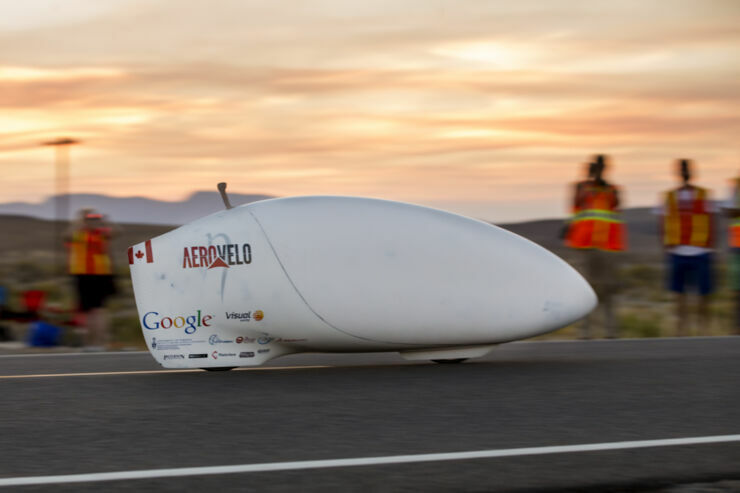 But while the Aerovelo Eta might be the fastest bicycle in the world, it's certainly not the most practical. Anyone riding it can't even put their feet down to touch the floor, but traveling at nearly 90mph you wouldn't really want to. But it would cause some amusing problems pulling up to a red traffic light.